Welcome back to your alma mater! Our mission is to help you stay connected to your classmates and friends and keep you updated on the latest news about what’s going on at Saint John Vianney. We want you to keep those connections you made at SJVHS for a lifetime! As alumni, you will always be a part of the SJVHS family. Alumni are important to SJVHS. You are the foundation on which we have grown. 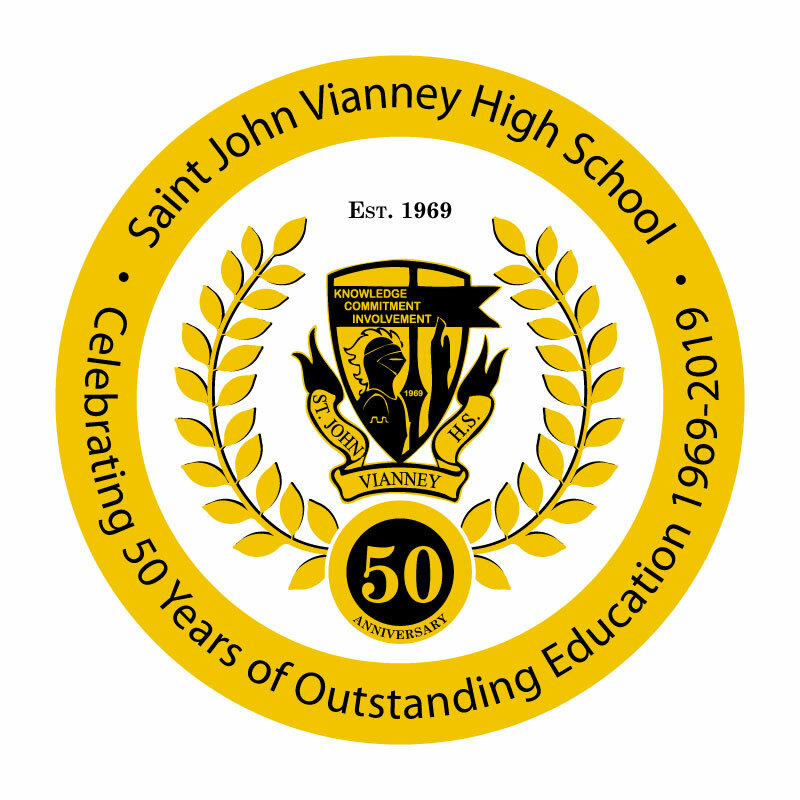 We are working hard each and every day to uphold and improve upon SJV's almost half century of excellence in academics and athletics. Are you interested in attending a school play? Would you like to root your team on to victory? Would you like to help plan your next Reunion? We want you to remain white and gold forever! There is always a place for you here, so please come back and see us. You can find out what is going on at SJVHS and when in, the Alumni section of our web site. You are a vital part of SJV's past, present and future and it is our hope that you come back and join us through participation in our alumni programs, activities and services. We’d love to see you at an upcoming event, or on your next visit to campus! Remember, you will always be a part of the family here at Saint John Vianney.